You take great pride in caring for the health of your teeth and gums. You brush twice a day and floss daily. In addition, you visit your dentist regularly for a checkup and dental cleaning in Westfield. However, despite your best efforts, you may be overlooking one vital aspect—your vitamin C intake. It is estimated 10 to 20% of adults do not receive the recommended 500 mg of vitamin C through diet each day. As a result, the health of your gums could become at risk for periodontal disease. 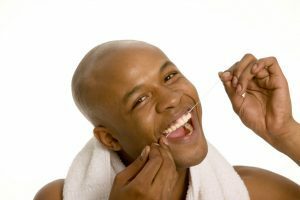 As your dentist in Westfield, we want to ensure your gums stay healthy. Why is Vitamin C Important? It is a well-known fact that vitamin C is important for supporting the immune system. Adequate levels of the vitamin will help prevent and fight illness. However, your overall health is not the only area that needs vitamin C. Your gums rely on the vitamin as well. Vitamin C works to keep the gum line healthy by increasing the body’s ability to fight the bacteria responsible for gum disease. The vitamin helps to produce healthy connective soft tissue, which keeps the gums healthy by protecting the tooth’s root structure from the bacteria that causes decay and gum disease. When you have inadequate levels of the vitamin, your gums are not as likely to fight bacterial infections. Gum disease results from a bacterial infection from plaque and tartar accumulations. When the condition remains untreated, you develop an increased risk for tooth loss. However, your oral health is not the only area impacted. Over time, the infection can spread into the bloodstream, increasing your risk for cardiovascular disease and several other health complications. To protect your gums and overall health, you need to ensure you receive adequate vitamin C.
How Can I Get Vitamin C? You can ensure you are receiving the proper intake of the vitamin by making changes to your diet. Foods like oranges, red peppers, kale and broccoli are rich in the vitamin. In addition, grapefruit, strawberries, and brussels sprouts are also good sources. If you have difficulty receiving the right amount of vitamin C through diet, you may want to consider taking a supplement. While it is important to have the right intake of the vitamin, too much of it can be harmful. You need to ensure you are receiving the proper amount each day. How Can I Protect My Gums? In addition to your home oral hygiene, it is important to eat a well-balanced diet, which includes vitamin C. With the right amount of the vitamin in the body, you will promote your oral and overall health. If you are experiencing early signs of gum disease, such as bleeding, swollen gums, it could be an indication you do not have enough vitamin C. You need to schedule an appointment with your dentist in Westfield. Dr. Weinman will evaluate your oral health to determine if gum disease is present. He offers the prevention and management methods needed to protect the health of your gums. During your appointment, he will discuss your vitamin C intake to ensure you are receiving the right amount. Contact our office today to schedule your consultation.